Since last year's release of the Travis Scott x Air Jordan 4, it seems as though La Flame has shifted his focus to other silhouettes, most notable the Air Jordan 1 and the Air Jordan 6. That said, there are still several different Travis Scott x Air Jordan 4s floating around - including the "Mocha" colorway shown below. The kicks feature the same color scheme utilized on the Travis Scott x Air Jordan 1 - which is reportedly set to release again on May 3. 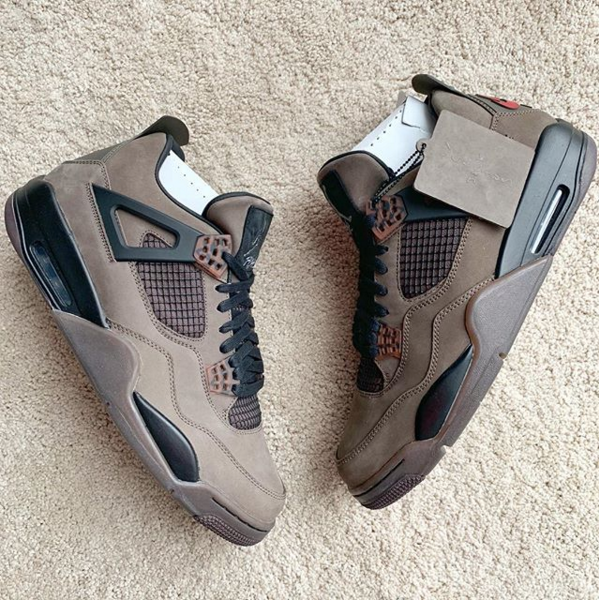 Jordan Brand has not announced any plans to release the Travis Scott x Air Jordan 4 "Mocha," and there's a good chance the kicks will never hit retailers, just like the exclusive purple and olive suede renditions. In addition to the "Mocha" colorway, @SoleSupreme also shared another glimpse of that "Olive" Air Jordan 4 sample, which you can check out in the IG post embedded below.